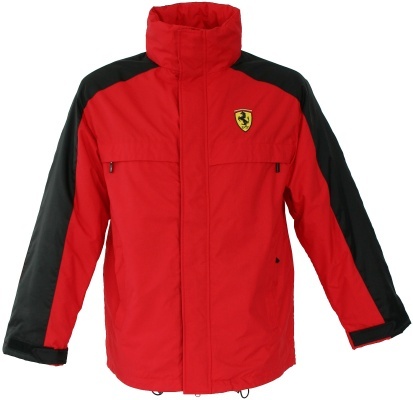 Ferrari Padded Car Jacket - Red. 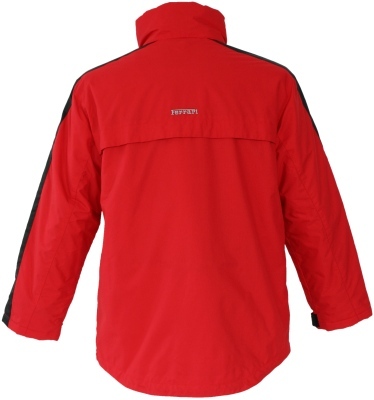 Fully lined padded jacket in 100% nylon dobby fabric with contra color oxford trim. Outer is TeflonTM coated by Dupont® to maximize water and dirt repellency. Front zip and pocket zips with all storm flaps for all weather protection. Ferrari racing shield embroidered to left chest. Ferrari embroidered above back storm flap. Upper lining in fleece, lower lining vertically quilted. Inside Velcro wallet pocket and lower change pocket.